Here’s what’s up in the world of TV for Tuesday, May 16. All times are Eastern. Marvel’s Agents Of S.H.I.E.L.D. 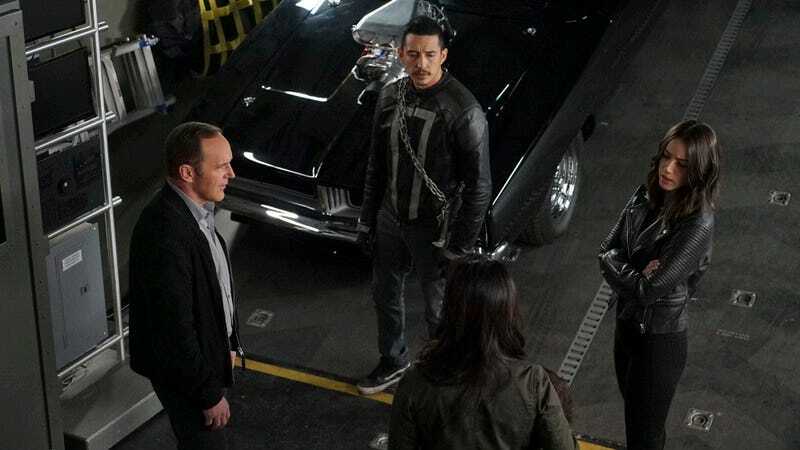 (ABC, 10 p.m.): Marvel’s Agents Of S.H.I.E.L.D. will finish up its fourth season with a return from Ghost Rider, as it attempts to find a satisfying ending to the menace that has been Aida/Ophelia and its Agents Of Hydra storyline. Alex McLevy will be on hand to assess. Tracy Morgan: Staying Alive (Netflix): Tracy Morgan’s Netflix special should prove more emotional than your typical stand-up set given that it deals with the aftermath of the 2014 car accident that landed him in intensive care.